"As the original L2 circuitry was virtually flawless, it was the emergence of new electronic components that opened up a possibility of [even better performance] . . ."
So begins one of two bookletsone a collection of specifications and interior photos, the other a distinctly thorough user's manualincluded with the new L2.1 Reference line-level preamplifier from Brooklyn's Lamm Industries, earlier products from which have impressed me as among the best available. Indeed, coming from almost anyone else, the above quote would strike me as trivial boastingbut I know from experience that there's nothing trivial about designer and company head Vladimir Lamm, a university-trained electronics engineer who's been building artisanal tubed and solid-state audio amplifiers for nearly 55 years, and whose research in the field of psychoacoustics has guided much of that work. Lamm is as serious and staid as they come, so when he reports having taken his work another step forward, my interest is piquedthe same response I accorded his invitation to write about the Lamm L2.1 Reference ($22,790). 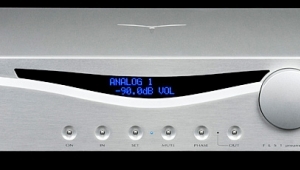 The L2.1 Reference is outwardly identical to its predecessor, the L2 Reference, introduced 15 years ago and, until the introduction of the LL1.1 Signature ($45,590) in 2010, the top of Lamm's preamplifier line. 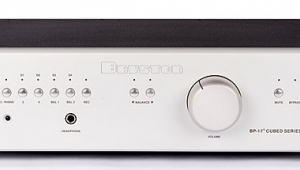 The L2.1 Reference is a line-level preamplifier supplied in two enclosures, each measuring 19" wide by 4.5" high by 13.875" deep. 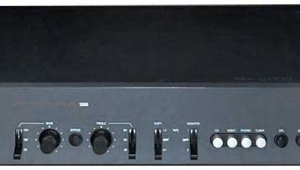 Although the division of labor between those two boxes is common enoughone is the preamp proper, the other the power supplythe division of technologies is, as far as I know, unique to Lamm: the preamp is built with solid-state devices, while the power supply uses tubes as rectifiers, regulators, and voltage references. (There is also a solid-state 12V regulator for tube filaments.) 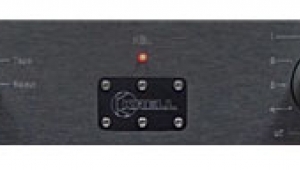 The preamp and power supply connect to one another by means of a specially made six-conductor cable. Of the technical distinctions between the L2.1 Reference and its predecessor, the most striking may be the new preamp's use of completely different current-source transistorsmade possible, Vladimir Lamm told me, by the recent introduction of certain low-voltage MOSFETs. The output impedance of the original current-source transistors wasn't as high as he wanted, Lamm said; "the new transistors gave me the chance to optimize the performance of the circuit's first differential amplifier, and increase its signal-to-noise ratio. For me, this is a very serious achievement." Also new in the 2.1 Reference is a shift from electrolytic to high-voltage polypropylene capacitors for some of the positions in its power supply. The power-supply circuit topology remains, in Lamm's words, "very similar, except for the absence of those electrolytics: polypropylene caps are much better than electrolytics." While noting the much higher cost of these new caps, Lamm told me, "People are always asking why I would spend so much on these very expensive capacitors, and my answer is always the same: If I could show you the calculations and if you could hear the improvement they make, you would see they are worth the price." 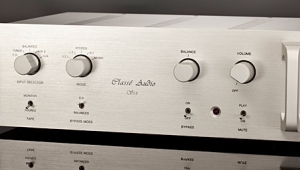 Key elements of the original L2 Reference endure in the L2.1, especially the use of high-voltage MOSFETs in the latter's all-single-ended, class-A gain stages. According to Lamm, "because of high voltage, we have a gigantic linear range, [so] we don't need feedback: this is the natural way to design electronics." 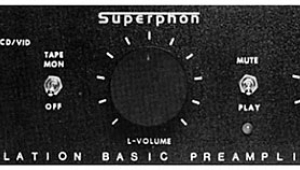 This element of the preamp's design is itself made possible by the use of a high-voltage (350V) power supply that uses two 12AX3 single-diode rectifier tubes and a Russian 6C19P voltage-regulator tube; Lamm describes the latter as having "very good parameters, and [its] voltage drop is insignificant." 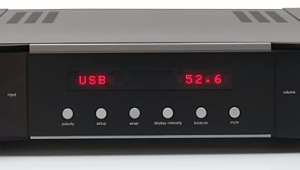 Two other tubes are used in the L2.1 Reference's power supply: a 5651 voltage reference tube"very stable, very low noise, with a much better temperature coefficient than zener diodes," according to Lammin concert with a 12AX7 dual-triode, the latter used to amplify errors before notching them out. 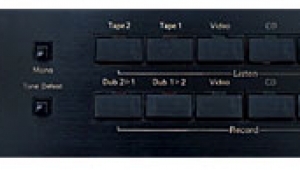 Of the L2.1's four line-level inputs, threeLine 1, Line 2, and Tapeare sonically identical. The fourth input, Direct, bypasses the Tape/Source toggle switches and the toggles that select between Line 1 and Line 2, and routes the signal directly to the dual-mono, detented volume potentiometers. 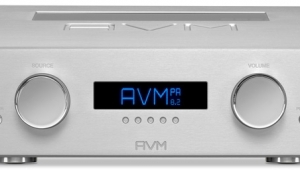 I love the two-volume-pot arrangement, which provides a means of controlling the left/right balance without burdening the signal with an additional pot for Balance. And it's Lamm's opinion that a potentiometer always sounds better than any of its newer, more high-tech counterparts, including but not limited to resistive ladders and digital volume controls of every sort. 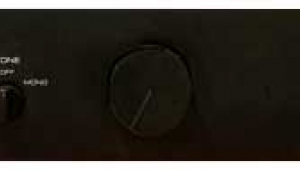 All of the above-described inputs are single-ended only (RCA jacks). 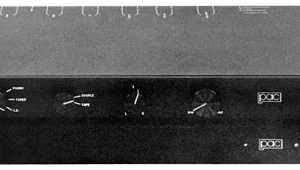 Of the L2.1 Reference's three outputs, twothe pair labeled Rec, grouped with their corresponding Tape inputs, and the pair labeled Single Ended (RCA jacks, all)are themselves single-ended. The third pair of output jacks (XLR sockets) are balanced, as marked, although Vladimir Lamm's experience is that balanced operation confers no sonic advantage. 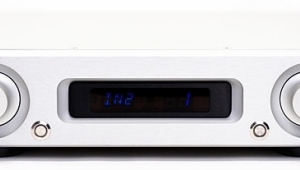 The construction quality evident in the L2.1 preamp and its power supply is superb. The outwardly somber enclosuressolidly made aluminum-alloy boxes finished in satin black, with white lettering and rack-mount handlesconceal hefty circuit boards with neat traces, cleanly precise soldering, and top-shelf parts including TKD 41-step volume pots, Hammond chokes, Dale/Vishay resistors, and capacitors from Electrocube, EPCOS, Rifa/Kemet, and Vishay, alongside a custom-made mains transformer. 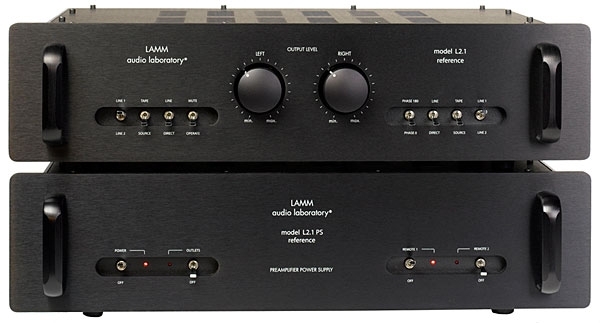 As with every Lamm product I've encountered so far, the L2.1 Reference and its power supply were shipped in hefty wooden cratesthis time packed within cardboard cartons. Bulletproof though this packaging seems, Vladimir Lamm remains adamant that his products be shipped only by air freight, never ground. Both units arrived without apparent flaw, the tubes pre-installed in the power supply. I removed the supply's top plate to check them, and all tubes were tightly, securely in place. 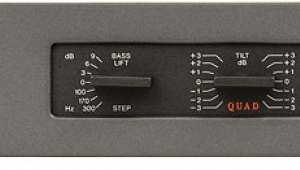 Installation was a simple matter of placing the preamp enclosure on the top shelf of my Box Furniture rack and the power supply on the shelf below; in use, the preamp ran just slightly warm to the touch, the supply warm but not hot. I used only the nondescript power cord supplied with the review sample, and made do without coupling feet, decoupling feet, isolation platforms, resonant devices, anti-resonant devices, cable risers, or accessories of any sort. 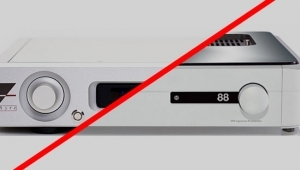 For digital recordings, I relied on my Sony SCD-777 SACD/CD player and, to a lesser extent, Halide Design's DAC HD USB D/A converter. My grease-bearing Garrard 301 turntable and EMT 997 tonearmthe former snugged into a homemade plywood-and-cocobolo plinth, the latter fitted with a variety of EMT, Ortofon, and Shindo pickupscomprised the analog source, addressing the Lamm through a Sentec EQ11 phono preamplifier I've been enjoying for the past few months, itself preceded by a choice of Auditorium 23 Hommage T1 and T2 step-up transformers. 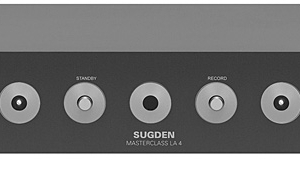 The SACD/CD player and LP player took turns riding on the Lamm's Direct inputs, which sounded slightly but inarguably better than the other three line inputs in the same way that correct signal polarity sounds better than incorrect polarity: almost imperceptibly louder and more forward.